Compost Wizard was established to address compost facility design questions that face waste management planners and engineers. 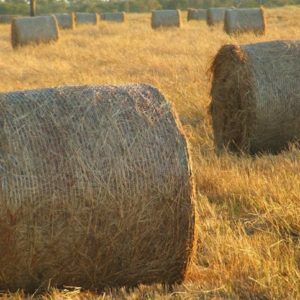 These questions include how much land, equipment, labor, and investment is required for a proposed windrow composting operation. The numerous factors that impact process design and costs such as type of materials composted, location of facility, cost of labor, etc. make it tedious to make these assessments quickly. To address this situation, Compost Wizard: Design developed a user-friendly computer program that can be used to design a windrow composting operation based on current scientific and regulatory recommendations. The program uses critical user-inputs such as types of feedstocks, types of equipment, number of workers and location of the facility, to develop a preliminary design of the composting process and facility, and an estimate of capital and operating costs. The user can quickly generate many different design scenarios that can be used to estimate the feasibility of composting as a waste management option. The Compost Wizard is in spreadsheet form in Microsoft© Excel 2000 (with multiple sheets that are linked to each other). The modules of the design program utilize user-inputs and previously calculated outputs from other modules for calculations and outputs. The USER MANUAL is great to learn more about the Compost Wizard. The software is $250 for each state. Included is a simple USER MANUAL to help explain the workings of the program and provide all users with most of the information needed to use the program. By adding the state to the shopping cart below, you will be taken to a PayPal shopping cart. Once the order has been placed, you will receive the appropriate state within 1-2 days. Give us a call at 678-794-6664 if you have any questions or would rather pay by credit card.